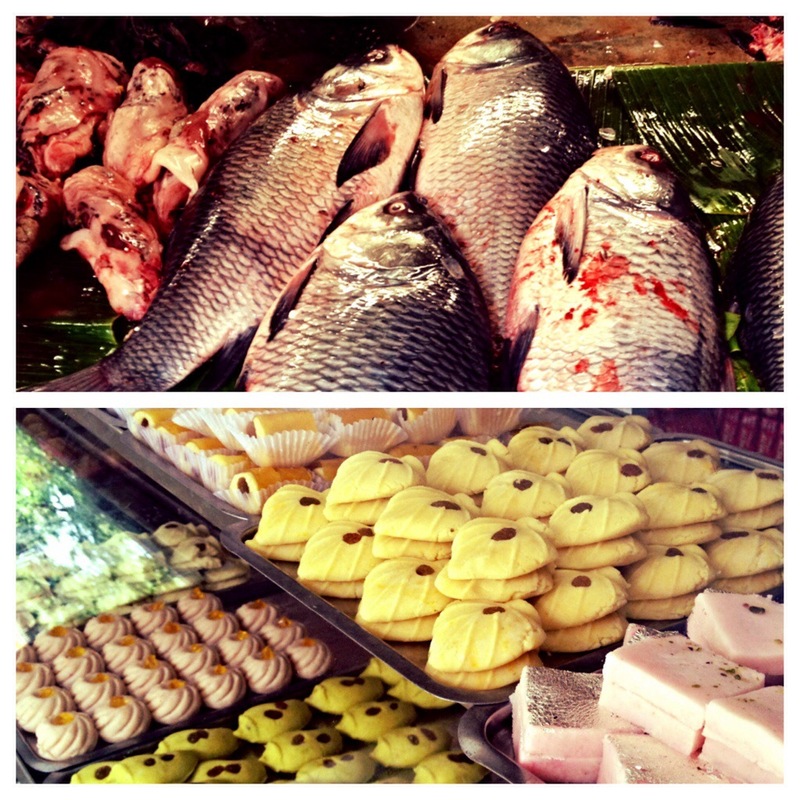 Maach (fish) and Mishti (sweets) to usher in the Bengali New Year. Categories: Fish, Something Sweet | Permalink. Cooking for a restaurateur/chef is intimidating. Especially so when you are enlisted with the task of introducing a dish to his palate. I met with Pushpir Bhetia — the owner of the Indian restaurant called Guru, in Somerville — in February this year for an interview, as part of my research work on Sikh immigrants in Boston. Apart from talking about the prime issue — Sikhs being target of hate crimes in the US especially after 9/11— we talked a lot about food. During one such conversation, we talked about fish. When you are talking about food and fish isn’t mentioned, a Bengali might quickly lose interest. Bhetia knew this. He asked me what kind of specialty fish dishes Bengalis dish out when it comes to entertaining guests. Doi Maach, I said. 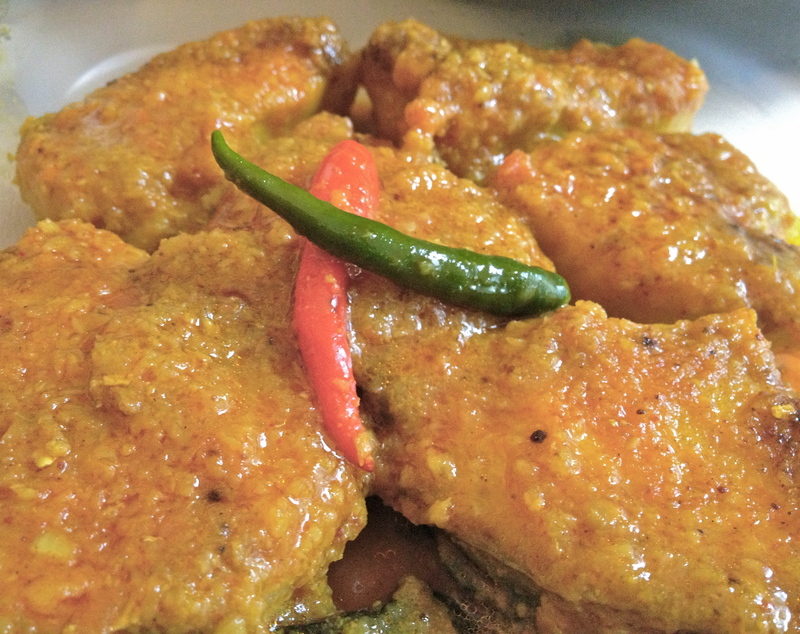 Fish cooked in a yogurt-based gravy. Pungent mustard oil is tempered with bay leaves, cardamom, cinnamon, cloves and red chilies and as soon as the warm spicy flavor hits the nose the creamy ginger-garlic-onion and tomato paste is introduced. Turmeric, cumin powder, salt and sugar goes in next and the mixture is cooked till the oil separates from the gravy. Half a cup of well beaten yogurt is then added. After cooking the mixture for a couple of minutes half-cup water is introduced to the gravy and once it comes to a boil the lightly fried pieces of rui are added. The mixture is then cooked till the desired gravy consistency is achieved. A sprinkle of garam masala and the dish is ready to be enjoyed with warm fluffy white rice. Bhetia seemed intrigued by the recipe and I promised to bring him some doi maach once my semester was over. My semester was over by the last week of April. I got busy doing nothing. But yesterday I decided to act on my promise. I cooked doi maach but the whole cooking process was a bit intimidating, like I said. The thought that I was cooking for a chef kept badgering me. Once the dish was ready I packed it carefully inside a container. When I arrived at the restaurant, Bhetia was busy cooking baingan bharta. I handed over the doi maach to him along with the recipe. I was planning to leave but he asked me to wait, as he scooped out a spoonful of rice, from the rice cooker, on a plate. “This is going to be my lunch today,” he said, as he opened the container I brought him. It was like a nightmare come true; my paper was being graded right in front of me! I stood in the kitchen as I watched him eat. It took him around ten minutes to finish the six pieces of fish that I had carefully nestled in the container for him. “So, what’s the verdict?” I asked timidly. 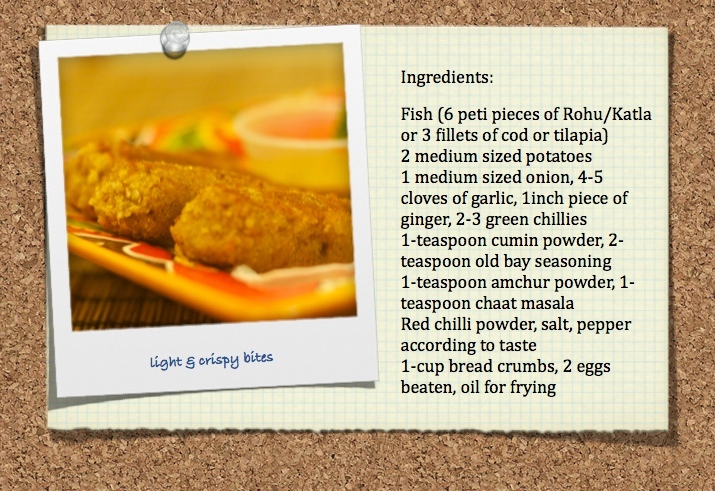 Categories: Fish, Non-vegetarian | Tags: bengali fish, doi maach, maach, rohu, rui, yogurt | Permalink. I can travel for miles to buy fish, labor for hours to scale fish and feel like a magician while cooking fish. Yes, you got it right I am a Bengali. I shamelessly admit that the sight of my freezer suffocating with a variety of fish, has the same effect on me as a spa therapy has on a stressed out soul. The assurance it lends, that I can have a meal of rice accompanied by fish whenever I please, makes my day. As a child I remember accompanying my father to the fish market every Sunday. The fishy smell, the glittering fish scale strewn alleys and the “50 Rs/kg” cries of the fishmongers still linger on my mind. To my surprise I found myself shopping for fish in malls, all packed and ready to hit the scorching oil, after I moved to Bangalore. Now in the US, a Bangladeshi store called Foodland, located in Cambridge, satiates my love for fish. Once a month I coax my husband into driving me 30 miles each way in return of the promise to cook him his favorite doi maach (fish in yogurt curry). The fish haven located at the basement of the store is lined with large, once white freezers crammed with the prize. Once I pick my fish, big enough to last a month, the man behind the counter cuts the fish into precise pieces with an electric knife. During the long drive back home I usually contemplate about different fish curry recipes to match up to the month long cooking marathon. The daunting scaling process begins once I reach home, with me bent over the kitchen sink armed with a quarter (25cent coin) as my scaling gadget. Cries of my husband voicing his disbelief as to how I can labor for hours over a fish fades in the background as memories of fishmongers scaling their catch with fifty paisa coins rush in my mind, lighting up my face with a smile. Back at home, in Kolkata, having fish for lunch and dinner, is a ritual, unless some near or dear ones happen to pass away. Then you are expected to go into mourning, marked by the beginning of a gruelling eleven-day-long vegetarian diet, I believe meant to reassure the departed that you still care. I remember one such instance. It was a Sunday, my father returned from the bazaar bragging about his catch, Pabda maach. 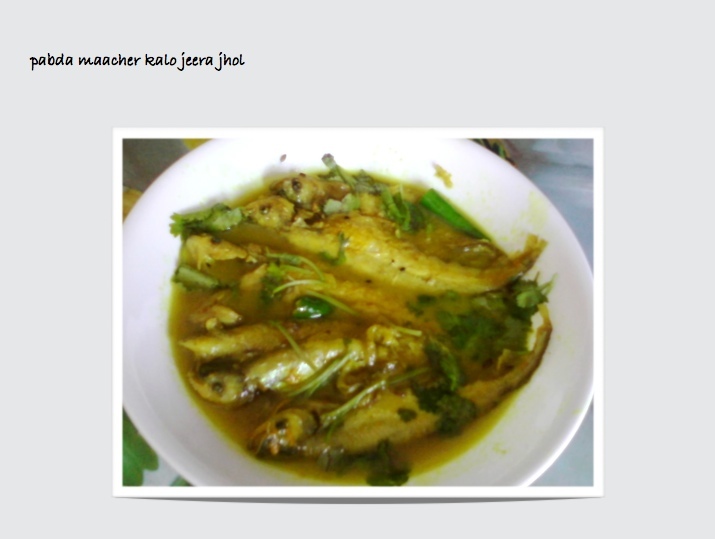 My mom knew this called for pabda maacher kalo jeera jhol (a light fish curry prepared with kalonji seeds) for lunch. We sat down for lunch and my sister stooped over the bowl of fish curry to get the largest piece before I could reach for it when the dining room resounded with that ominous telephone call. It was my Aunt informing us about the demise of my father’s distant octogenarian uncle. My sister and I had never seen this grandfather of ours. She looked at me helplessly and at the fish for one last time. We knew right away how dearly we would miss the fish curry and braced ourselves to brave the 11-day ordeal. We secretly envied and cursed our maid who would get to pack our share home. The fish preparation was promptly replaced with dal (lentil soup) and alu bhaja (fried potatoes). My father returned to the table with a sigh. Till date I wonder whether the sigh was really meant for his long forgotten uncle! 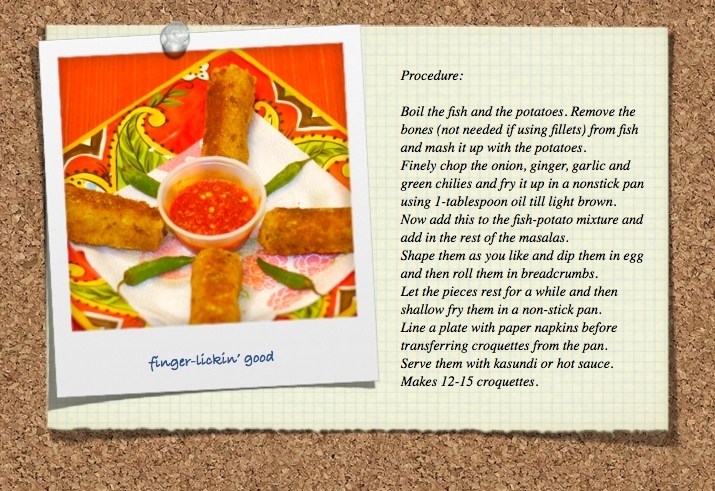 Categories: Fish, Non-vegetarian | Tags: bengali, bengali food, fish, food, funny, indian cooking | Permalink.